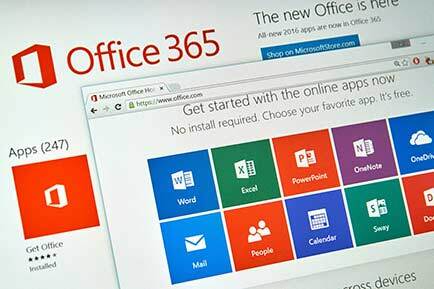 Office 365 is a subscription service that ensures you always have the most up-to-date tools from Microsoft. There are Office 365 plans for home and personal use, as well as for small and midsized businesses, large enterprises, schools, and nonprofits. All Office 365 plans for home and personal use include Office 2016 with the fully installed Office applications that you’re familiar with, like Word, PowerPoint, and Excel, plus extra online storage, ongoing tech support at no extra cost, and more. You can choose to pay for your subscription on a monthly or yearly basis, and the Office 365 Home plan lets you share your subscription with up to four members of your household. Most of the Office 365 plans for business, schools, and nonprofits include the fully installed applications, but Microsoft also offers basic plans with the online versions of Office, file storage, and email. You decide what works best for you: Smaller business, Enterprise, School, or Nonprofit.